Flexibility in cutting styrofoam board. No "crumbling" as when working with knife or saw. Flat support surface and lateral bore with the included c-clamp allow stationary use. 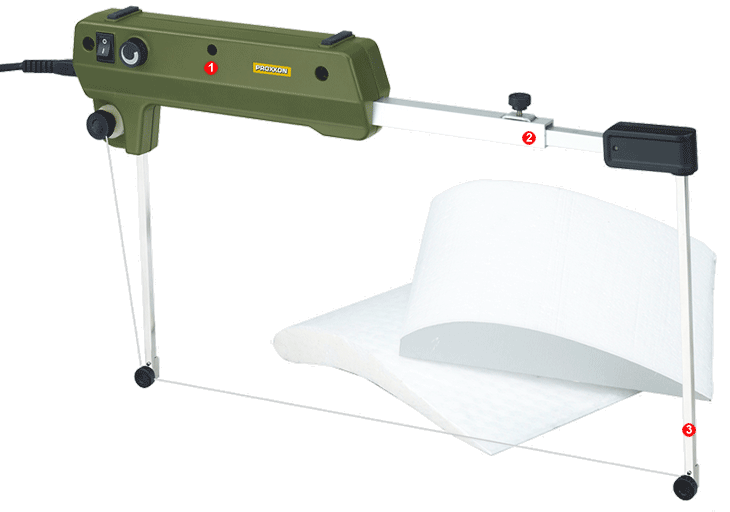 Telescopic arm for adjustable cutting lengths from 400 - 650mm (15 3/4" - 25 1/2"). Cutting depth (throat capacity) 200mm (7.9"). Spring element in support bracket ensuring constant wire tension regardless of temperature based wire expansion. For architects, designers, artists, in prototype construction, insulation work and, not least, for classical model building (railroads, airplanes, boats). 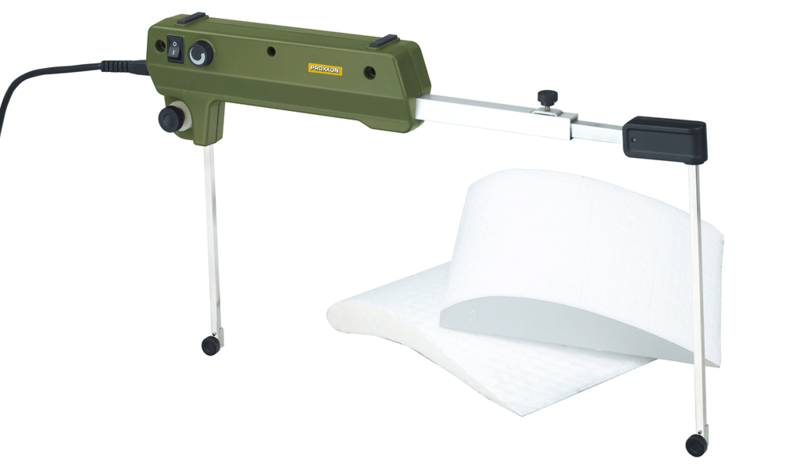 For cutting styrofoam, hard foam, polyurethane, PU foam and thermoplastic materials. Switch-mode power supply for 110 - 120V AC connection. The heating element is operated with a safety voltage of max. 40V and 1.2A. Depending on the material the cutting wire temperature is pre-selected using the practical control knob and remains stable while working. Supporting surface with lateral bore for fixing a c-clamp to allow for stationary use. 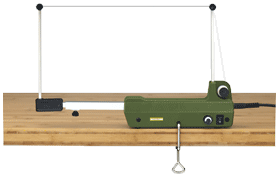 A c-clamp and a spool with 30m (98ft) of cutting wire Ø 0.2mm are included in the scope of delivery. For THERMOCUT 650, THERMOCUT 115/E and other similar hot wire cutters. Made of NiCr 8020. 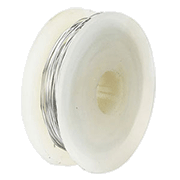 Spool of 30m x 0.2mm. For cutting styrofoam or hard foam hot wire cutters are vastly superior to other tools such as knives or saws. Most important is to select the right temperature depending on material and thickness. With a bit of patience and practice anyone can do this! Most precise cutting results are usually achieved at medium temperatures and moderate pressure. Flat support surface and lateral bore to fix a screw clamp allow also stationary use. Practical when cutting standard styrofoam boards (100 x 50cm).